I started to worry when I stopped sweating. I felt dizzy and faint; my body felt weak and my skin felt hot. I collapsed onto my knees, balanced on the board, and vomited into the ocean. In the blistering heat with no shelter, I discovered paradise is a harsh place. 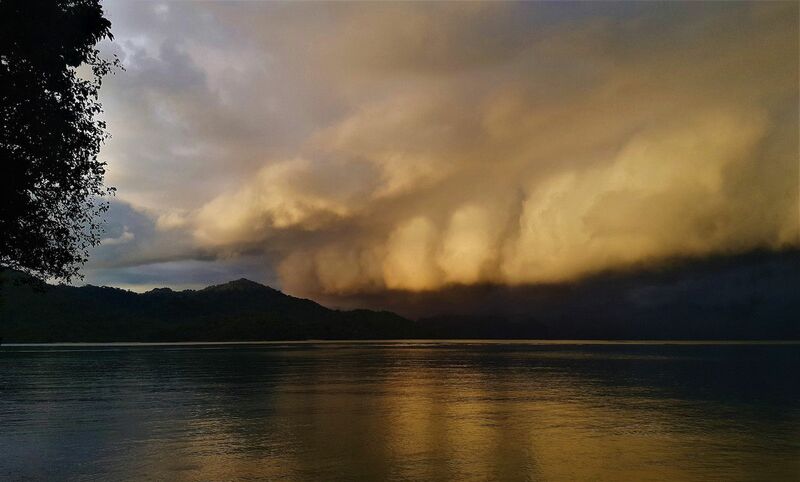 I was floating off the island archipelago of Langkawi in Malaysia, approximately 8km offshore. There was no one else around. I had just paddled 33km of open water and was 9km from the end of my trip. I recognized the symptoms of heat stroke. I went into the water to cool my body, took tiny sips of water to rehydrate, and ate small morsels of tinned sardines. In the space of two hours, I was able to move and somehow found the energy to paddle that final 9km. I made landfall two hours after sunset: tired, exhausted, dehydrated, and in pain. There were no feelings of jubilation and excitement upon the completion of my journey. They would come later. At that moment, on the moonlit beach near the pier, all I could feel was relief that it was over. 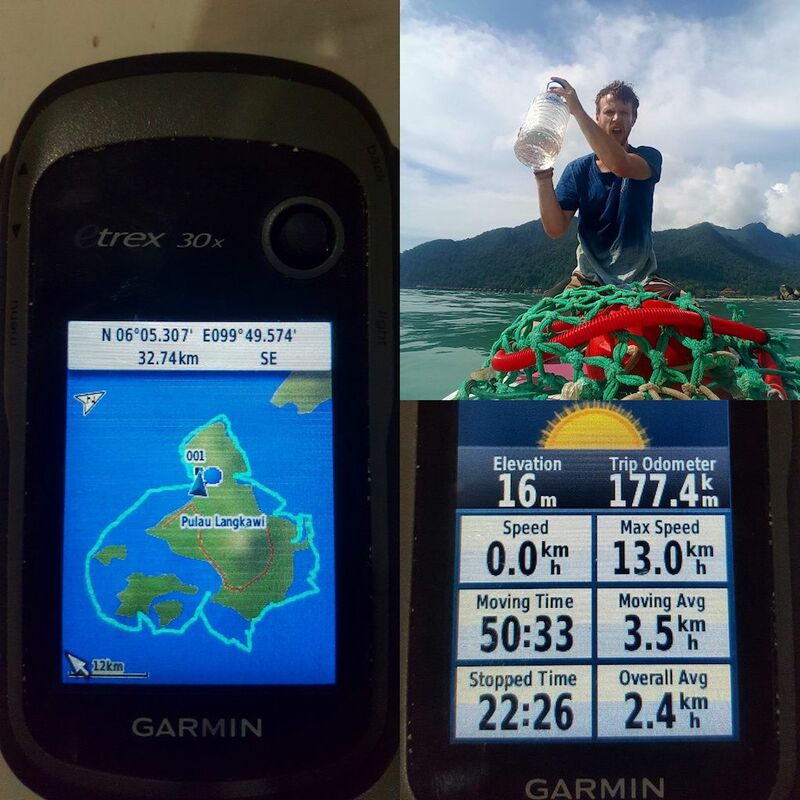 This was the last day of my attempt to become the first person to circumnavigate the Langkawi island archipelago by human power alone. I used a second-hand inflatable SUP not designed for expedition travel. With a combination of recycled ghost netting, bungee straps, and micro carabiners I was able to secure my gear to the board. In total, my gear weighed 8kg — packing light was critical. I slept in a hammock using a plastic tarpaulin to keep the rain off. My equipment was stored in dry bags. I carried 8L of water with me and regularly consumed 4L per day. I cooked my food on a portable gas stove and removed all my rubbish, leaving only footprints. Every night, I camped on uninhabited islands in hidden coves. 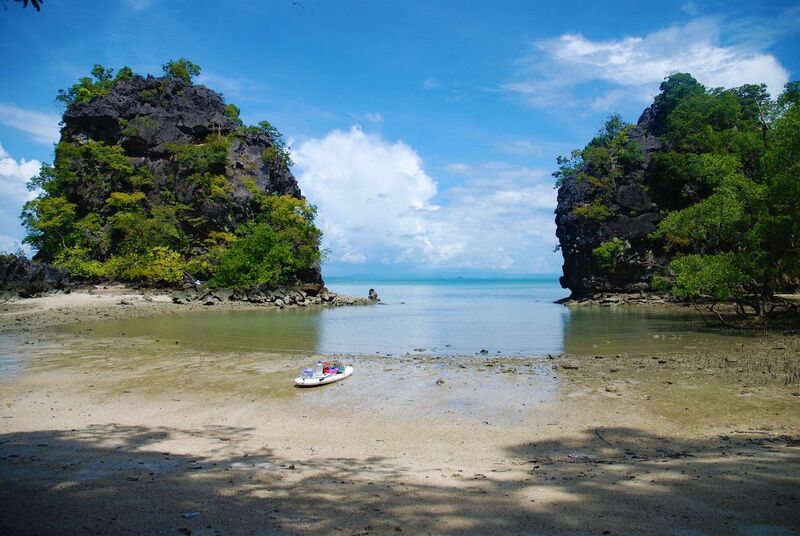 These beaches were framed by steep cliffs of dense rainforest with monkeys and eagles inhabiting the upper canopy, which made for a magical setting. It was (almost) perfect. On day 2, I cut my foot on some dead coral. The repeated saltwater immersion prevented the wound from healing. By day 3, it was swollen and infected. Unable to get medical help, I simply dealt with it as best I could. At the end of day 4, unusual calmness was sitting on the land. Sea otters feeding in the water swam past. They spotted me and uttered their husky alarm calls but they were distracted. They kept looking over their shoulders. I soon found out why. A broiling mass of dense grey cloud was being blown toward me. Distant lighting could be seen and thunder heard. This wasn’t simply monsoon rain. This was a full tropical storm. I laughed with false bravado and challenged the weather to do its worst. The storm exploded around me. Strong gusts of wind tore the tarpaulin in half. Lighting struck barely 15 meters away from my camp and the thunder was so loud that it shook the ground. My gear was thrown across the beach and my hammock supports snapped. There was nothing I could do. I used the spare rope to secure my gear together then curled up in the fetal position on the sand, wrapped in the rags of the tarpaulin. Over 6 hours of torrential rain followed. Shivering, cold, and wet I lay there as sleep eluded me. The hours until dawn passed with anxious slowness. I could only think how truly helpless man is when confronted by the forces of nature. Every night after that was filled with heavy monsoon rains that soaked the ground. 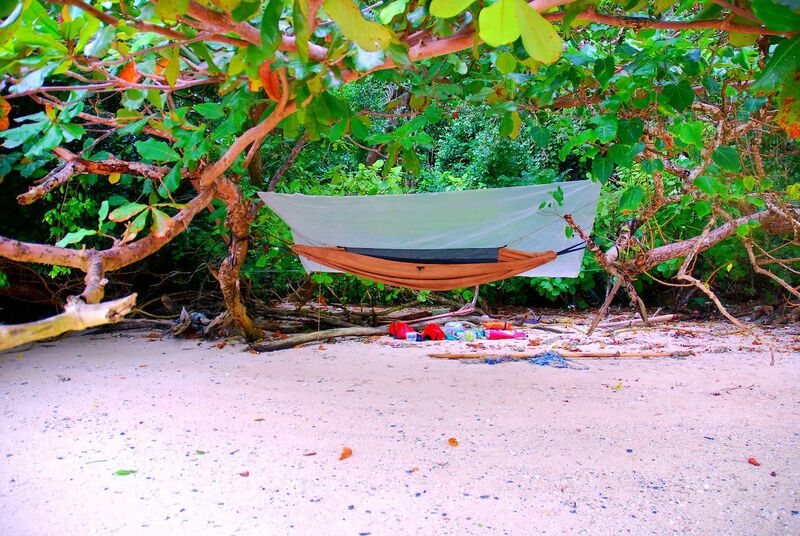 With no tarpaulin, I either slept on the beach in my waterproofs or in a wet hammock. I started to dread setting up camp. Lack of sleep and constant wetness became a torment. Daytimes were a dream. Bright sunshine, hot temperatures, and flat water made for spectacular paddling. Otters, birds, and dolphins would regularly accompany me on my journey. I wanted to undertake this trip solo and unsupported. 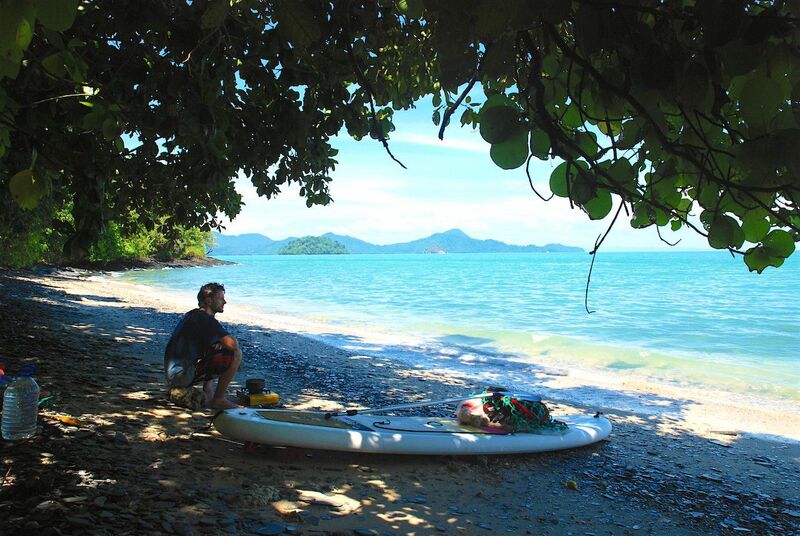 I had never camped in tropical rainforest or done a paddleboard expedition before. Those lonely hours spent paddling in absolute silence brought intense reflection. Solitude was distressing at times (especially in the middle of a storm), but I know myself better for having had these internal voyages of discovery. In total, I paddled 177km in 10 days. My route took me around the outer edge of the entire archipelago encircling all 104 islands. 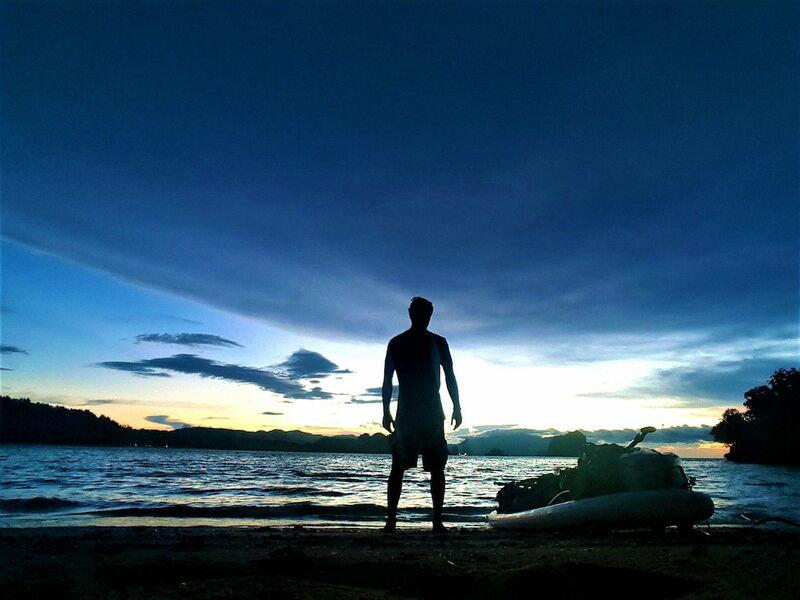 On the 20th of November, I became the first person to circumnavigate the entire archipelago by human power alone.